As mostly stiff tubing is used in Push-in systems, an angled element is needed to turn radiuses with the hose. The choice is between cheap 90° hose connectors or these push-in connectors. 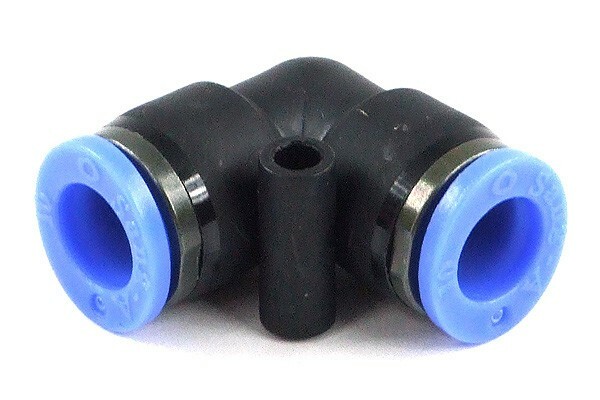 The advantage of these connectors is that they can be realeased easily, seal immediately and always make for an optical highlight in the system! Wichtig: Important: Use only with stiff tubing.